Not all waters are created equal. 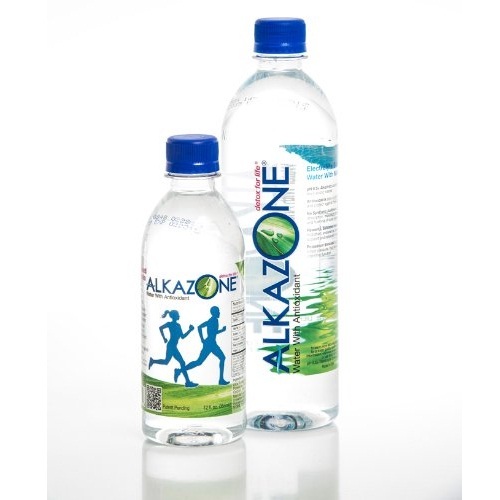 ALKAZONE Antioxidant Water is ultra-purified water enhanced with essential electrolytes that is crisp, clean and smooth to the taste. Enhanced with essential minerals such as potassium, calcium, magnesium and selenium to create a healthy 9.5 pH(±) balanced antioxidant water that helps restore the body and add support for the immune system. Disclaimer! All information on this site is provided for informational purposes only. It should not be used to self-diagnose or personally treat any medical condition or disease or prescribe any medication. If you have a medical condition you are urged to contact your personal health care provider. Statements on this website have not necessarily been evaluated by the Food and Drug Administration, and are not intended to diagnose, treat, cure or prevent any disease.